When we think knitwear, we often think of the garments that supplement an outfit rather statement pieces — the thin undershirt, the tights below a stunning dress, or the pullover sweater for an afternoon at home. Knitwear has been confined to essential, yet uneventful apparel. Boboutic’s mission rejects this quotidian notion of knitwear. Founded in 2000 by designer Michel Bergamo and architect/photographer Cristina Zamagni, the collections are conceptually driven and inspired by the complexities found in everyday experiences. Rock mosses and lichens guided the spring/summer 2015 collection of sculptural verdant and cream-colored garments; the impression of “taking cover” drove the layered, voluminous pieces from last year’s fall/winter 2017 season. 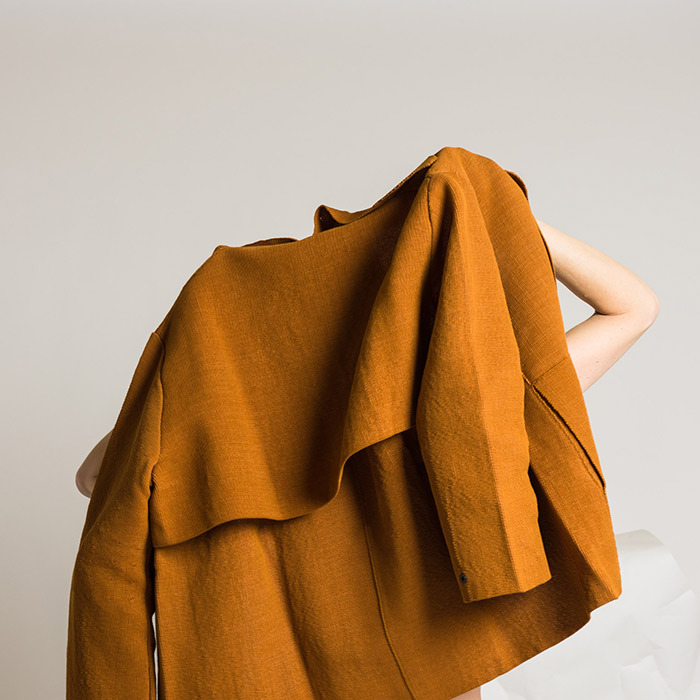 With “…designers [who] consider knits an ideal medium, since its versatility allows conceiving unique surfaces and unexpected shapes,” and extending this medium through a “constant research for new materials and production methods,” Boboutic is on the forefront of reconceptualizing knitwear as a platform for sartorial innovation. 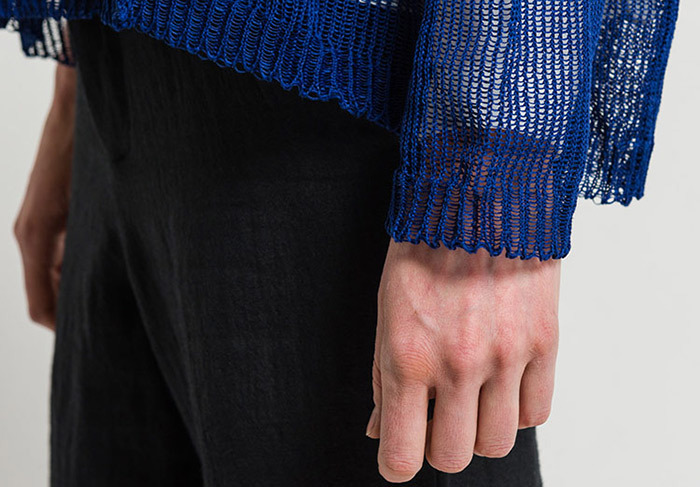 The designers at Boboutic take a closer look at the baseline essence of knitwear, which is defined by the garment’s method of fabrication and the architecture of the threads. At the base of almost all textiles is yarn: a line of material ranging from ultrafine polyurethane threads to thicker strands of natural wool or even paper yarn. Knits are distinctive in that the yarn is an endless line that follows a meandering, interlocking path through the entirety of a garment, where wovens are a series of crossed yarns that generate a grain within a textile. The ends of wovens must be finished; knits are endless. Interlocking loops within knitwear create complex topologies. Unlike the straight, vertical / horizontal foundation of wovens, knits are founded in the yarn’s looping path along a row, interlocking with loops of rows above and below. Interlocking loops create an intermingled, architectural network. Because there are no straight lines of yarn in knitwear, garments are capable of stretching movements and multi-directional pulls. Knitwear is therefore flexible, easily constructed into small detailed pieces, and capable of retracting into shape rather than wrinkling after being folded. This allows for much versatility in the construction of knitwear, providing the designers at Boboutic with room to explore materials used in the fabrication of the yarn. There is a high interest in materialiality with this spring/summer 2018’s Compendium Collection: inspired by paper with the promise of a silky, comfortable touch. Yarns used in the various garment designs range from fine Makò cotton, to coated cotton, to paper yarn. Makò cotton is the Egyptian variety of high quality cotton. The extra-long staple fibers (ELS) occurring naturally in certain species are what constitute high quality cotton; the result is superior strength and thread uniformity. Because a very small percent of high quality, extra-long staple cotton exports come from Egypt, garments made from Makò cotton are somewhat of a rarity. The Makò cotton used in the Loose Knit Sweater, A-Line Jacket and the Shirt/Jacket pieces make for a fine texture and a flexible, breathable finish. 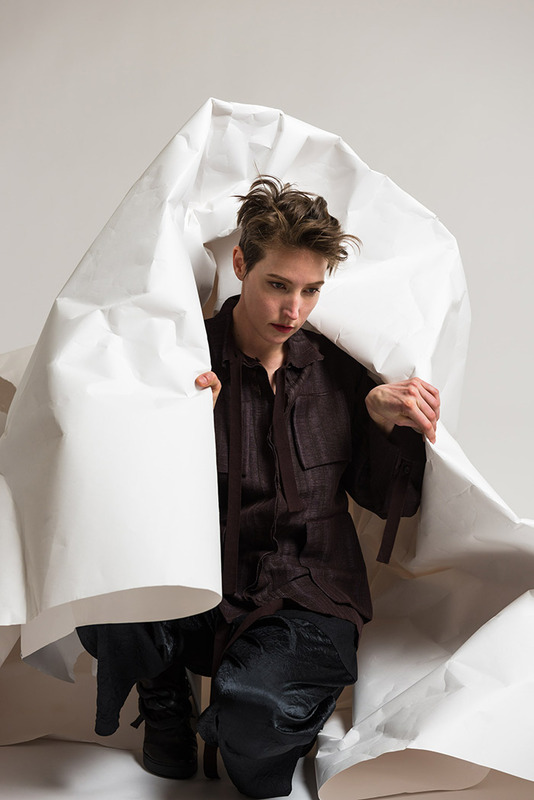 A favorite fiber, Boboutics innovates with modern poly-coated cotton yarn. Polyurethane coating creates water-resistance, durability, and enhanced visual properties. 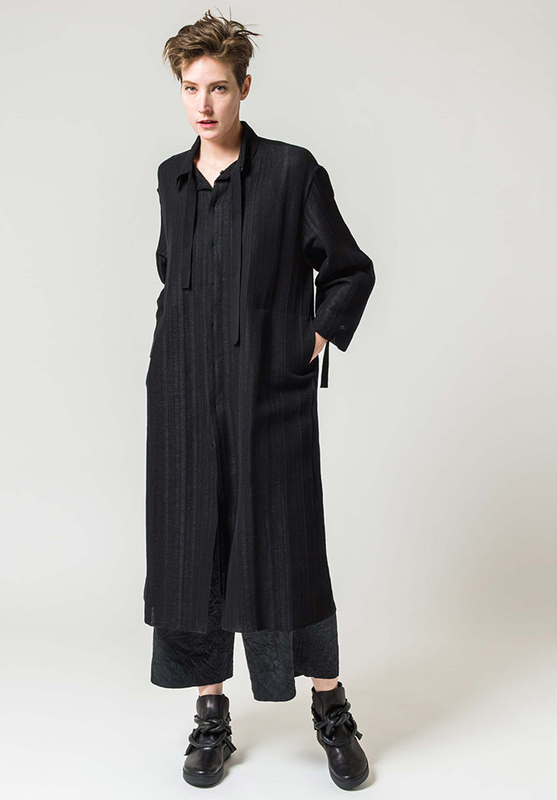 The polyurethane-coated cotton yarn interlocks with layers of synthetic polyamide strands (created through a melt-spinning process) in the Textured Duster Coat and Textured Short Jacket pieces that are inspired by the texture of watercolor paper. 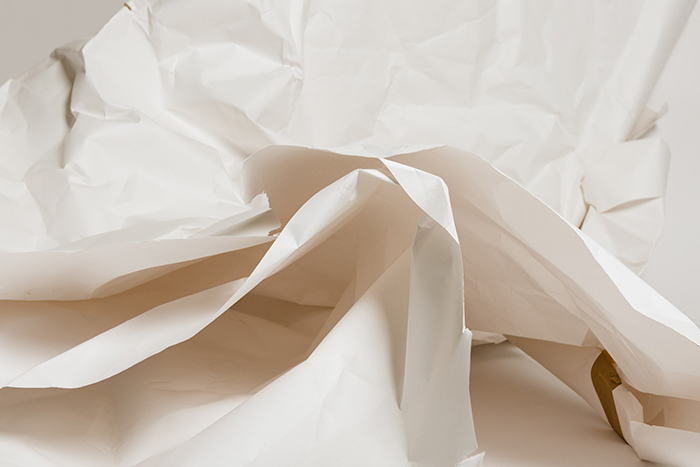 There are implicit and direct relationships with paper throughout this collection. 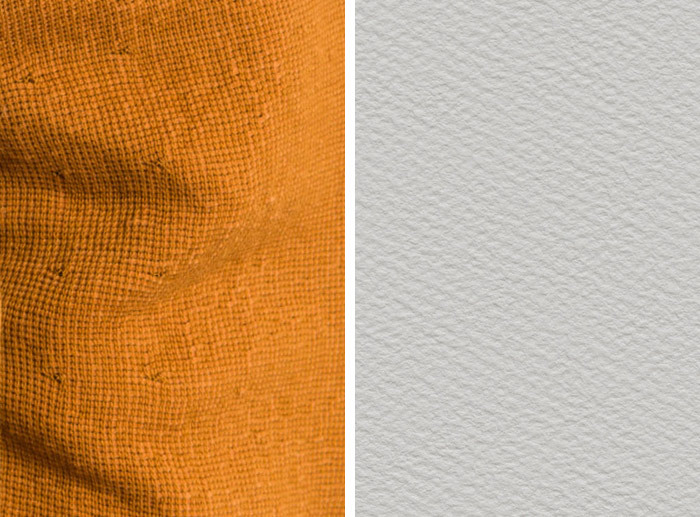 We see the direct connection through the use of paper textile (or carta tessile) in the Paper/Cotton Dust Coat and Paper/Cotton Open Jacket. 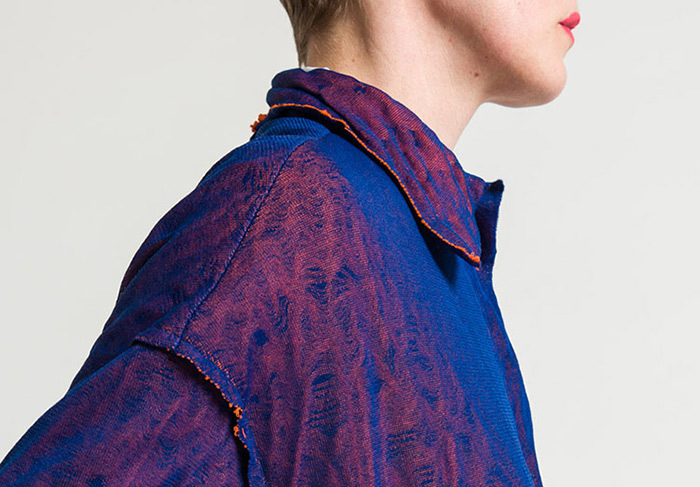 Nothing like a garment made of paper, these pieces more closely align with the concept of shifu, a Japanese woven cloth made with hand twisted paper yarn in weft and yarn of another material, such as cotton, in warp. Unlike woven shifu, Boboutic’s knitwear pieces make use of a single, endless line of interlocking paper yarn that creates an interior panel layered between two outer panels of knitted cotton yarn. The effect is a three dimensionality, an illusory essence of reflectiveness in the surface, and a fascinating degree of flexibility. The meandering nature and movement inherent in knitted yarn is apparent in the flexible interlayer of these carta tessile pieces. 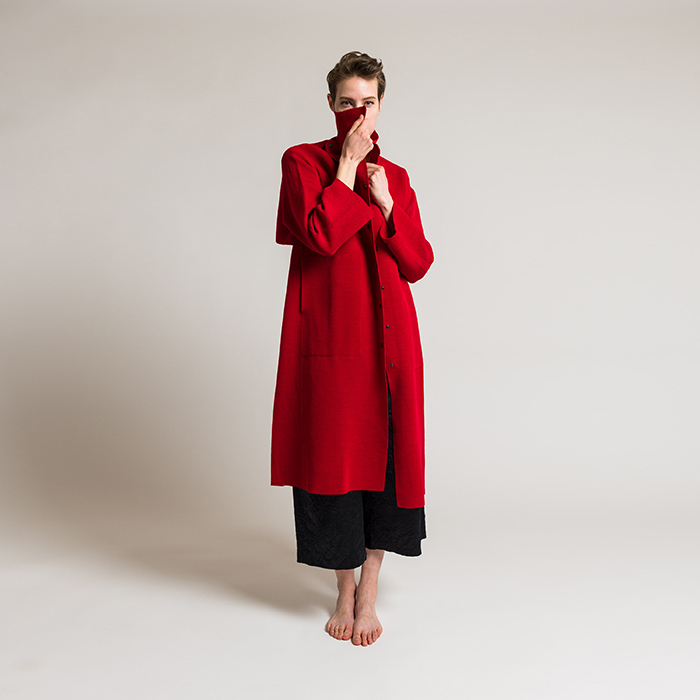 Boboutic’s knitwear collections are conceptually driven and inspired by the complexities found in everyday experiences, with romanticism interlaced into the way the garments are crafted and understood. This spring/summer 2018 knitwear collection takes its name from the concept of Compendium, defined as “a collection of concise but detailed information about a particular subject,” paper being this season’s particular subject of interest.